It’s not amazing, but it’s actually a half-decent hair mesh and I’m pretty proud of it. 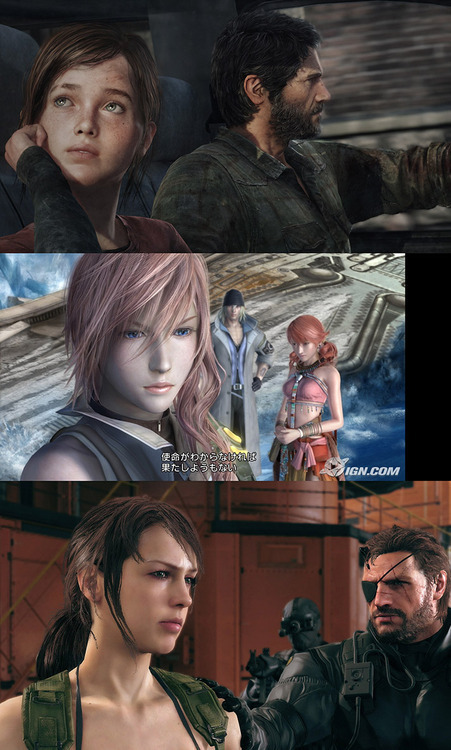 So I want to talk about hair in video games in general. The thing about hair in a video game is that it is a thing made up of lots of little things, and that is not easy to deal with in a real-time simulation. There’s simply no way with current tech we could simulate strands of hair to make a complete head. Tress FX’s new tech allows high-end devs to simulate a few strands of hair, but not a full head; it’s used to add subtlety, but we still need to rely on the old techniques to bulk out most of the hair, and us lower end devs don’t have access to things like Tress FX and may not be developing for platforms that can support it anyway! So, what are the old ways? Well, there are two: Sculpted hair and Carded hair. 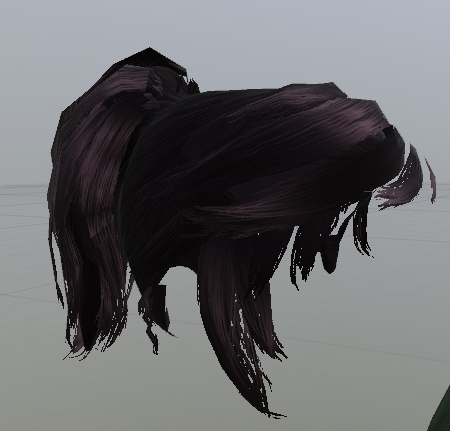 Sculpted hair is when you literally just make a block of hair shaped polys, stick a normal map on it to create a hair texture and call it a day. Advantages of this method: It is fast. It is so easy you can dump it on your low-level devs and interns, it is low-poly on simpler styles like ponytails, simple short styles and long, straight hair. It’s also relatively easy to rig because it’s all one lump so won’t clip through itself. Disadvantages: It may cost more polys to make a more complex style with lots of wispy bits, layers or Final Fantasy spiky feathery goodness it literally looks like a block, so won’t look good in game you want to look realistic, especially if you’re viewing the character models from even a mid-distance. The other method is Carded hair. Carded hair is when you make the hair out of layers of poly sheets. You use alpha channel transparency to cut out the shape, creating wisps, spikes, strands and clumps of hair. Advantages: In the hands of a skilled modeller, this method looks waaay better and more like real hair. Subtle styling is easier and may be lower poly on complex styles, it looks more crisp and modern, especially with HD textures which may look downright silly applied to a simple block. Disadvantages: You need a skilled modeller on it, and they are expensive and in short supply; putting an unskilled modeller on it, you may end up with a messy look. It takes longer. 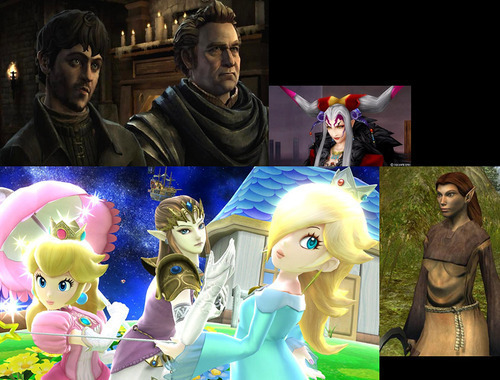 It is higher poly on simple hairstyles than a block would be. It’s sometimes harder to rig. Of course, generally most “carded” hair isn’t purely cards. It usually uses a block for volume and scalp coverage combined with cards over the top to add softness, a more hair-like silhouette and subtlety to the shape. Many Bioware games primarily use a block, with just a few loose strands around the edges made from sparing use of cards. On the hair I made at the top, I’ve used the Lux PBR hair shader. This shader is really cool because the colour is linked to the shader setting rather than the diffuse map, meaning the same mesh can easily be recoloured. It uses settings for having a colour variation to the shine compared to the base colour, which I love because it makes the hair much more hair-like in lustre and really vibrant Of course, in terms of looking good, dark or black hair tends to be easier to make look good, but this shader helps lighter colours look decent because you don’t have to make the base colour too bright!